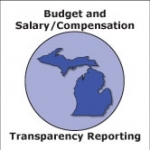 The Michigan Transfer Agreement (MTA) replaces the MACRAO agreement beginning Fall 2014. Students who attended prior to the fall 2014 will be able to complete the existing MACRAO agreement until the end of summer 2019. The Michigan Transfer Agreement (MTA) is designed to facilitate transfer of general education requirements between institutions. One of the guiding principles of the agreement is to promote transparency among institutions and ensure accurate transfer information for students. A student must successfully complete at least 30 credits, with at least a 2.0 in each course, to fulfill the Michigan Transfer Agreement (MTA). 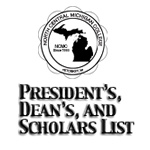 Credits from students who have attended previous institutions will be evaluated and recorded as meeting 'MTA' requirements or North Central Michigan College's general education requirements, as long as their home institutions considered those courses to satisfy general education requirements. A student must earn at least one credit-bearing course at north Central to have the 'MTA Satisfied' posted on the North Central Transcript. 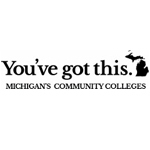 Students earning an Associate of Science degree at North Central Michigan College will automatically have "MTA Satisfied" posted to their transcript, provided they meet the minimum grade requirement. All other students will need to submit a formal request to have their transcript evaluated for the "MTA Satisfied" designation. 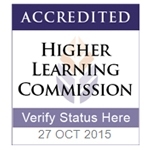 For more information about the MTA, MTA Signatory Institutions and Michigan colleges and universities transfer equivalencies visit our website. TOTAL CREDITS Minimum 30 credits. 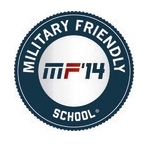 Must receive 2.0 in each course to qualify. Choose two courses-must be from different categories. Criminal Justice (BS) - emphasis in Law Enforcement or Generalist with MCOLES certification.